When Should You End Your Business Partnership? 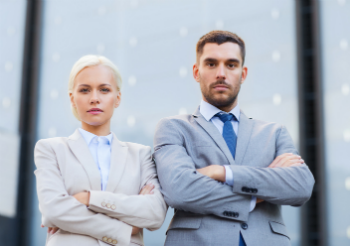 There is a strong personality misalignment which prevents the business from thriving and you are unable to resolve this personality difference with your partner. You have failed to plan and the business is suffering, but your partner is not willing to work out a business plan to make the company thrive. You have definitively decided you wish to pursue other opportunities. Before diving in, take a look at the partnership contract and consider whether there are provisions for breaking the partnership agreement. What will happen if you break the agreement? You may have the option of buying your partner’s share of the business or legally dissolving the agreement. You may also want to take time to figure out whether there are any other options for making the business work with your partnership. For example, maybe you can redistribute the weight of the partnership or clarify the duties of each partner to make the situation more amenable to your goals. Once you’re clear about your intentions and have at least a basic idea of what the partnership contract states about dissolution, get professional help. Talk to a financial advisor and an attorney to find out how to protect your interests and find a mediator who can help you dissolve the partnership. Working with a mediator if you don't have a dissolution agreement in place can help you develop an agreement and an exit strategy that’s mutually beneficial. Working with an attorney allows you to negotiate at a distance, which may be easier if one partner doesn't want to leave the partnership. Breaking up a business partnership is difficult for everyone. Try to stay generous and communicate your future goals and intentions. Discuss difficult topics, such as the subject of what to do with existing customers. Listen to what your former partner would like and try to keep your expectations and requests reasonable. If you'd like support during a partnership dissolution or if you'd like help coming up with an exit strategy or partnership agreement, get professional help. You can always contact SLC Bookkeeping if you'd like outsourced bookkeeping, financial forecasting for small business or consulting services. Our goal is to help your business succeed.